World famous Astrologer and "Vastu" Expert Aacharya Pankaj ji provides many astrology Services like Vastu for Home , Kundali Making Service, Matchmaking . Many people from different countries (USA, UK, INDIA) are fan of his Astrology consultation services. He has always made right predictions on the basis of mixture of Astrology and Horoscope. He is an expert on remedial measures in various matters like Service, Business, Career, Marriage, Education, Sickness,Removal etc. 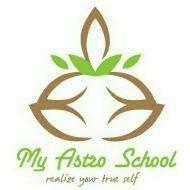 My Astro School conducts classes in Astrology. It is located in Uttam Nagar, Delhi. It takes Regular Classes- at the Institute.